How do we inspect nuclear fuel? Tecnatom develops technology and renders services for the inspection and characterization of both fresh and spent nuclear fuel. In order to do this, since the 90s, we have been working in close collaboration with the Spanish nuclear fuel manufacturer ENUSA and together we have developed a family of sophisticated automatic nuclear fuel inspection and characterization systems. These systems are aimed at providing information on the behaviour of fuel components at their different stages of burning, as part of a material manufacturer research and optimization program. Among the other systems developed is inspection equipment for the measurement of oxide levels and the diameter of fuel sleeves with micron precision, fuel component deformation measurement equipment for torsion, warping or tilting, detection and localization systems for leaked components, or devices for the radiological characterization of burned fuel. On the other hand, we have also developed automatic systems for the quality control of nuclear fuel during its manufacture stage. These systems permit the monitoring and control of a variety of critical fuel parameters such as enrichment, the composition of fuel pellets, the enrichment areas on busbars, the gadolinium content, the positioning of springs, defects in the busbar surface, and others. How do we add value to nuclear fuel? The execution of nuclear fuel inspection and characterization services is carried out collectively by Tecnatom technicians who are experts in Non-Destructive Testing (NDT), and robotic equipment operation, and ENUSA technicians, who analyse and interpret the results of the inspection. Our perfect symbiosis between an expert inspection technology company and a fuel manufacturing company allows us to develop high added value automatic systems which are able to determine the critical parameters of nuclear fuel. The collective capacity of both companies presents the best combination for the optimizing of inspection system designs with the aim of obtaining maximum nuclear fuel services, ensuring their operation with the utmost guarantee of reliability and safety. This cooperation between Tecnatom and ENUSA goes back almost 30 years and we have provided inspection services and supplied automatic equipment to numerous customers all over the world. SICOM-COR: Fuel component corrosion measurement, the diameter of fuel rods and visual inspection. SICOM-DIM: The measurement of multiple dimensional aspects of nuclear fuel. SICOM-LIM: The cleaning of nuclear fuel rod crud. SICOM-ROD: Corrosion and profilometer measurement and defect detection on nuclear fuel rods. SICOM-LEN: : Length measurement of nuclear fuel rods. 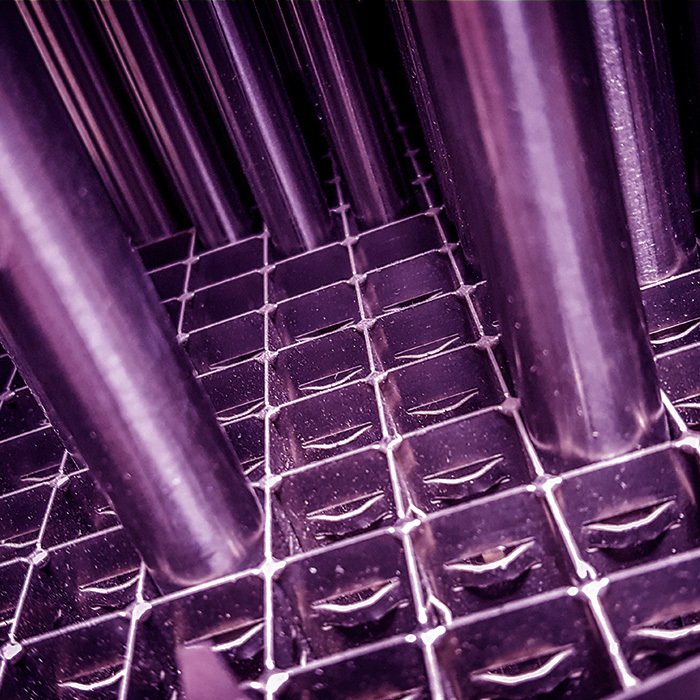 SICOM-UT: Determining the integrity of nuclear fuel rods. SICOM-GAMMA-FR: Gamma characterization and nuclear fuel rod neutrons. SICOM-GAMMA-FA: Gamma characterization of fuel components and the determination of internal rod pressure. 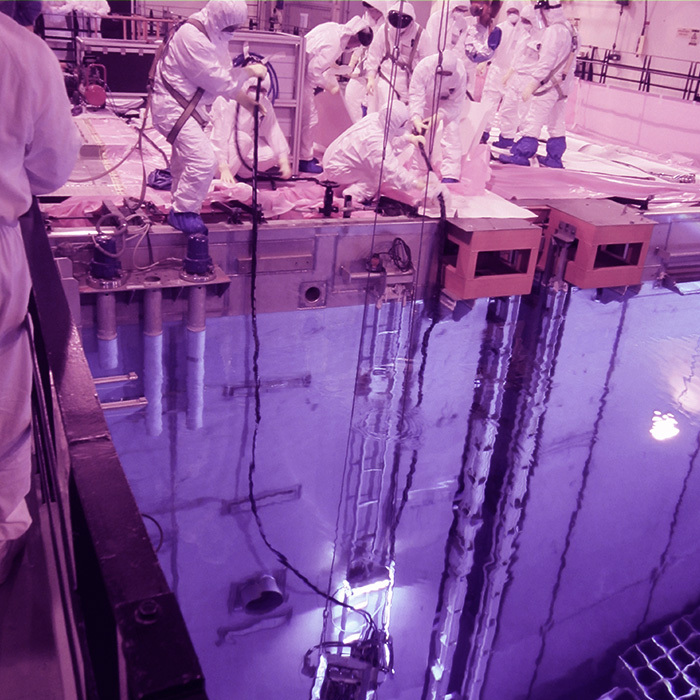 SICOM SIPPING IN-CAN: Determination of the nuclear fuel integrity stored in the fuel pool. SICOM SIPPING ON-LINE: Determination of the nuclear fuel integrity at the moment of core discharge. Nuclear fuel surface defects: automatic system capable of detecting nuclear fuel rod surface defects.